We all know Hennessey as the company responsible for the once record-breaking Venom GT and for offering tuning upgrades for the likes of the Ford Raptor and so on. Now though, it seems as if John Hennessey has his eyes set on giving the not very slow McLaren 600LT a few little upgrades. The boss of Hennessey is obviously used to his own 1000 horsepower creations and is probably not what you consider a ‘normal’ human being. Unless you are a professional racing driver, the lightweight, limited edition version of the 570S will be more than fast enough for you and I. In fact, the company’s goal is to make the 600LT faster than McLaren’s newest member of their Ultimate Series, the 1,036 horsepower (773 kW) Speedtail. In other words, it’s going to be jolly quick indeed. 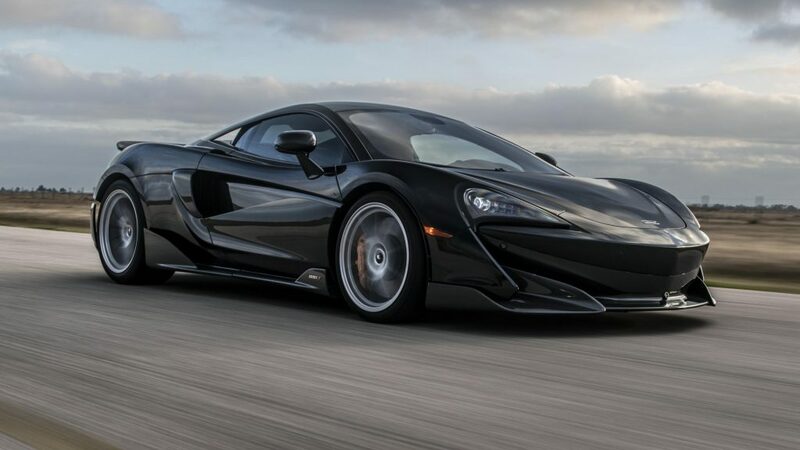 The company will be offering three different upgrades for the 600LT. The first option will take the power output up to 708 horsepower (528 kW) with a 0 to 100 km/h time of 2.6 seconds. Still thinking that the LT could use a little more motivation? Luckily there is a second option that will enlarge the horse pen to accommodate 805 horses (600 kW). The third option will technically turn your 600LT into a “1001LT”, allowing the car to pump out 1001 horsepower (746 kW), or the same as a Bugatti Veyron. The result of this will mean you can hit 100 km/h in an organ-reassembling 2.1 seconds. This is hardly surprising given the car only weighs 1,247 kilograms. This HPE1000 version will achieve these ludicrous figures thanks to upgraded turbochargers, bespoke stainless steel turbo headers, a Motec ECU, high-flow air filters, a stainless steel exhaust, an upgraded intercooler, a high-flow wastegate, and an upgrade with the transmission.